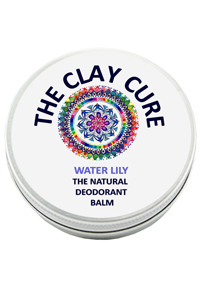 The Clay Cure Co. Natural Deodorant Balm is all natural and uniquely powerful, utilising 100% natural ingredients to absorb odours and moisture, inhibit bacteria, and ensure a long-lasting and highly effective deodorising experience. The frosting-like consistency of Natural Deodorant Balm allows for easy manual application and rapid absorption. It is ideal for all skin types. 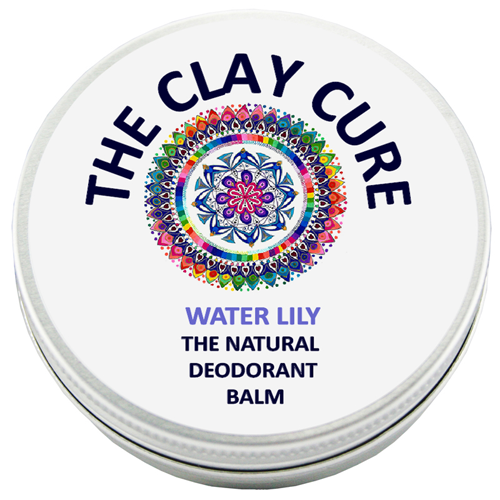 Clay Cure's Natural Deodorant Balm is vegan and is made with the highest quality organic and food-grade ingredients. It does not contain questionable additives such as sodium lauryl sulfate, parabens or harsh and harmful chemicals, petroleum or aluminium compounds frequently found in commercial antiperspirants. It is never tested on animals. Natural Deodorant Balm is an antibacterial deodorant. The unique natural formula coupled with the anti-bacterial and anti-fungal qualities of the ingredients, such as coconut oil and sodium bicarbonate, mean your armpits can stay bacteria-free and fresh-smelling all day. Natural Deodorant Balm works differently. It is natural to sweat - sweating is a natural toxin releasing mechanism - so it works with your body not against it. Common antiperspirant deodorants work by blocking sweat pores, not allowing the sweat through. Natural Deodorant Balm is supplied in a recyclable tin with a spatula. Take a peas-sized amount in your fingers then gently apply to the underarm skin. In colder weather the warmth of your fingers will soften up the deodorant enough to ensure easy application. Organic coconut oil, arrowroot, cornflower, sodium bicarbonate,organic apricot kernel oil, jojoba wax, water lily oils. If you have a history of sensitive skin or allergic reactions, please test skincare products on a small area inside your wrist for 2-3 days prior to using. The Clay Cure Co. and Bobby's Healthy Shop cannot guarantee that customers will not experience skin reactions and cannot be held responsible should any occur. In hot weather Natural Deodorant Balm may arrive in a liquefied state. Pop the container in your freezer for about 20 minutes until it has solidified. Your Deodorant Balm will then be as good as new. Clay Cure Co. products are specifically created with the most natural, food-grade ingredients available in order to be safe for those with even the most sensitive skin. If you have a history of sensitive skin or allergic reactions, please be sure to test body products on a small area inside your wrist for 2-3 days prior to using.